E-Commerce Business owners know the importance of having a website in today’s world. With the wide use and popularity of the Internet, a lot of people go online when they need to find something, including various products and services. If you have a business, but you don’t have your own site yet, it may be time that you consider getting one. With this, you’ll be able to reach more people. It doesn’t matter whether your business is small or starting. Having an online presence will help grow your brand. 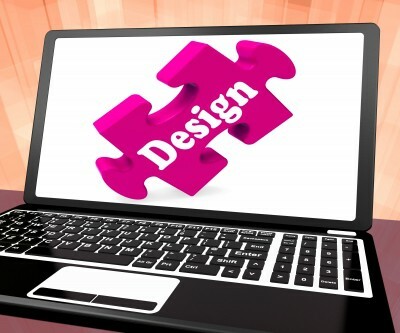 You may hire a professional web designer and developer to build your site. But if you don’t have the budget, you can do this on your own. Yes, that’s right! You might be wondering how you’re going to do it, especially if you don’t have any background about website creation. Well, you don’t really need to have an experience in this area since there are various sites that let you easily create a cool website for your business without a cost. Let’s take a look at some of your best options. Simple but elegant themes are what IM Creator . Choose from its stylish and chic designs that would suit your brand. You also have the option to start from a blank template and design your own theme. Whichever you choose, there would be no programming involved. It supports drag and drop so you can add images and information, as well as move them without problems. Its interface is straightforward, so you wouldn’t have a hard time navigating the site and using its features. Cropping of images and text re-sizing are not needed since the templates are automatically set to adjust them. An additional bonus is that it’s SEO friendly, thus, helping your website to become more searchable on the web. You’ll have 50MB free storage for your site. It also comes with premium pricing plans that offer more features. But you’re not required to make an upgrade, so if you prefer the free account, then you can keep it as long as you want. There are hundreds of stunning designs to choose from that would work in various fields, including restaurant, photography, music, health, beauty, etc. Build and manage your very own website with ease and convenience using Wix. Like IM Creator, Wix supports drag and drop so you can easily add images, videos, texts and other media on your site, even if it’s your first time doing this. There’s also the option to optimize the website for mobile viewing, which can be done with just one click. With this, visitors can view the site properly regardless of whatever device they’re using. Customizing the templates is fun and simple as there are several colors and fonts, as well as free images to choose from. It also comes with a blank template in case you wish to start from scratch. There’s also no need to use a third party application for editing your images as it comes with a built-in image editor to ensure that you have gorgeous photos. The page transition effects make the visitors’ experience even more enjoyable. You may also upgrade your site to premium to have more storage, bandwidth and remove Wix advertisements. This is another cost free website builder that doesn’t come with advertisements. Yes, you don’t have to upgrade your account to premium to get an ad free site, since their free websites are also advertisement free. You’ll have up to three pages, 16GB storage, 16GB bandwidth and a Yola subdomain for creating a free site. Yola comes with a wide selection of website templates, which you can customize. Like the first two sites, you can simply drag and drop items to add them on your site. No coding or programming necessary. Sites can also be easily searched on the web; improving your online presence. Quickly publish your site to your Facebook page or optimize it for mobile use. It offers Google map integration so it would be easy for people to find your local store. Check your site statistics and determine the number of visitors. Don’t miss the chance to connect with millions of Internet users around the world. Use any of these three amazing site builders and create your business website for free. This entry was posted in 'corePHP' Products, Web Design and tagged corephp products, Design a site, hire a developer, web design on May 15, 2014 by Aman Sareen. But from where I would get best ecommerce theme??? If you need assistance please feel free to contact us directly at support @ corephp.com as we offer services to help with the services you have in question. We look forward to working with you and assisting with your needs.